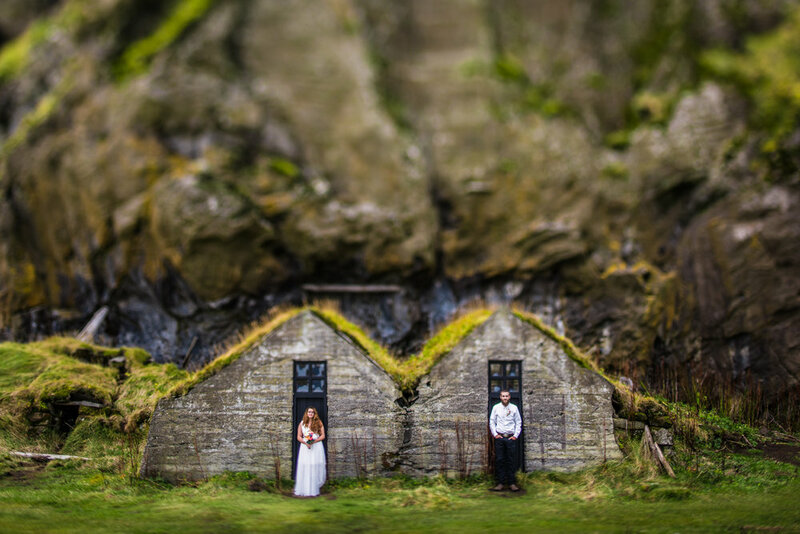 We had already been in Iceland for ten days prior to Jessika and Mack's elopement date. 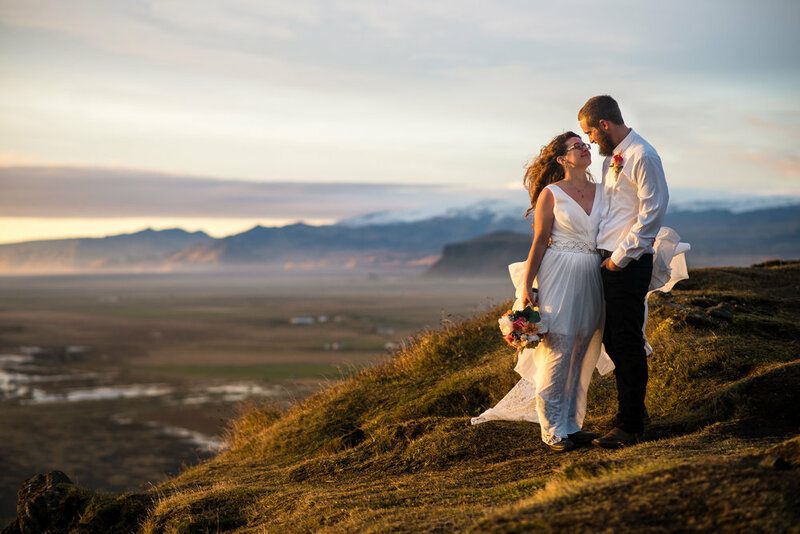 We had circled Iceland's Ring Road to enjoy a lot of the sites, and were treated to amazing autumn sunlight, which hung low along the horizon that it seemed all day everyday was golden hour. 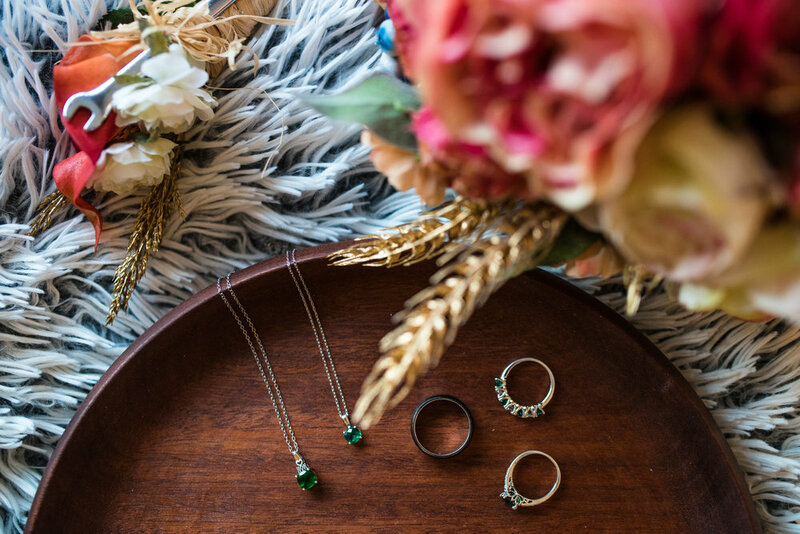 A photographer's dream! However, the three days leading up to their wedding were the three most treacherous weather days we experienced so far. Three entire days of racing wind, up to 115 km/h at times. Three entire days of pelting, cold and stinging rain. It left me and Matt passing worried glances back and forth to each other as the elopement dates drew closer. We knew Iceland's weather could be intense and unpredictable, and we were bracing ourselves for that. 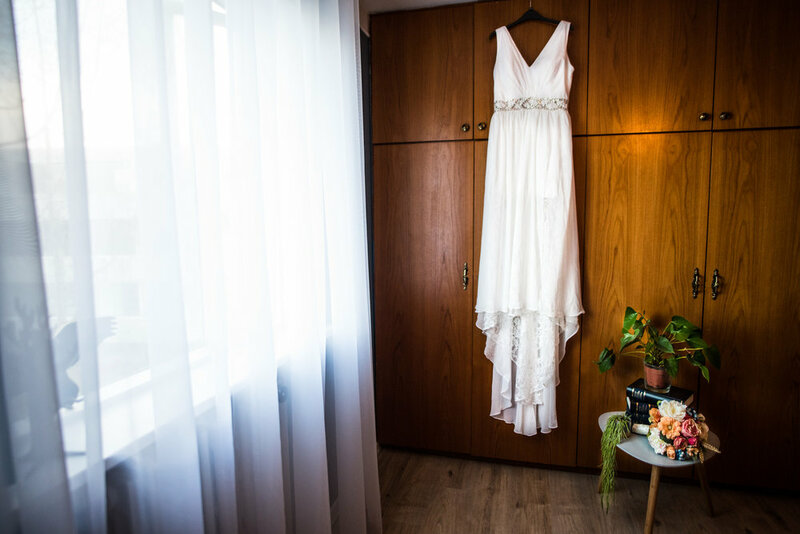 It was hard to deny ourselves a bit of worry since all our couples had travelled so far to come her to elope with us, and it was beginning to look like we may not even have weather that would be safe enough to photograph them outside! 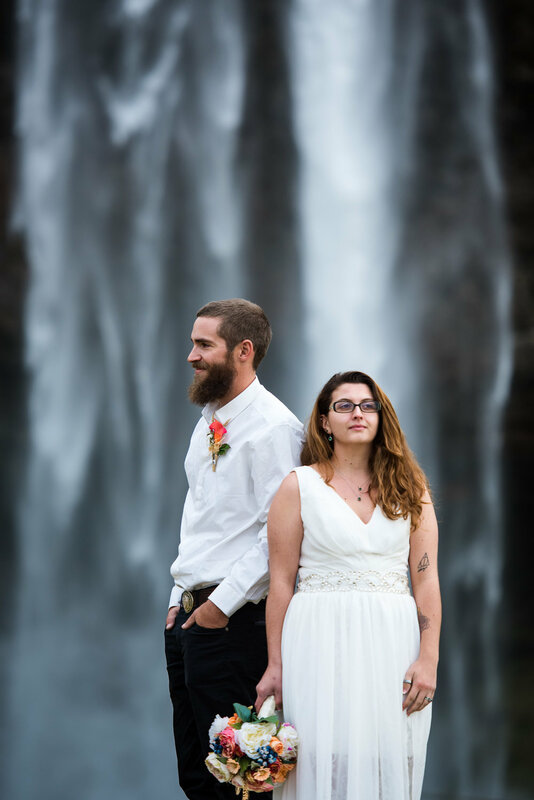 Jessika and Mack came all the way from Colorado in the US for their wedding, and we really wanted to send them back with images that reflected the experience of their whole trip! 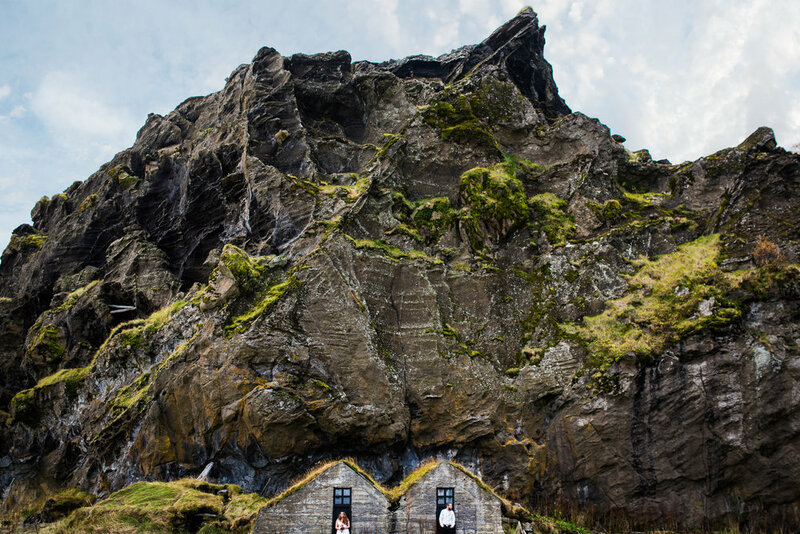 We woke up on the morning of Jessika and Mack's elopement to clear skies and zero wind. The excitement was immediate and overwhelming, which is evidently magnified 100x when dealing with pregnancy hormones. Enter a relieved and impossible-to-contain happy weepy Sayde. 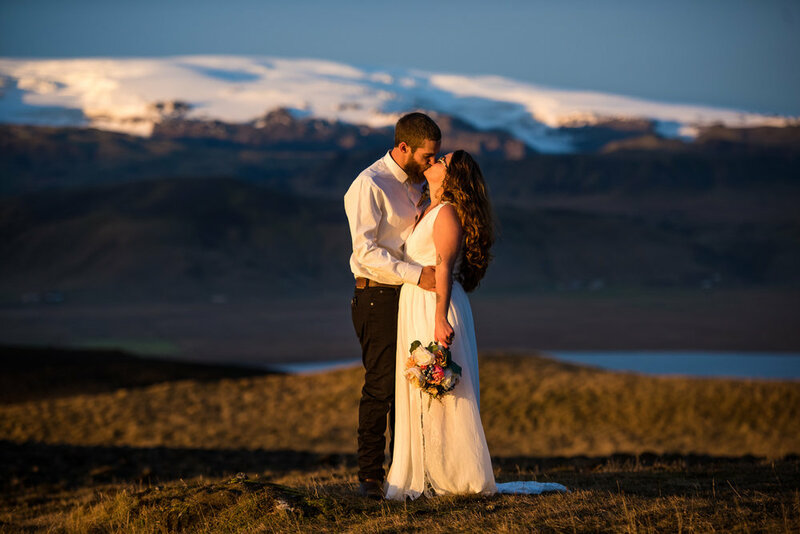 We planned to meet Jessika and Mack at their airBnB apartment where they would both get ready for the day, without seeing each other, before their first look in Reykjavik! From there we travelled a popular-for-good-reason route along the south of Iceland, stopping to visit some Icelandic horses, heritage sites, and a few of Iceland's most famous waterfalls. We seemed to have some curiously coincidental luck the whole day. Not just with the weather turning out great, but with the areas we stopped to photograph in. When travelling a popular route, it's expected that we were going to have to share the area with tourists and other visitors. that day however, it seemed we were either arriving to locations as most people were leaving, or leaving locations as most people were arriving. At Skogafoss this was made very evident as we photographed Jessika and Mack, with very few people around, right in front of the waterfall. For a few minutes, any existence of the outside world was e blotted out by the sounds of crashing water made by this colossal falls. 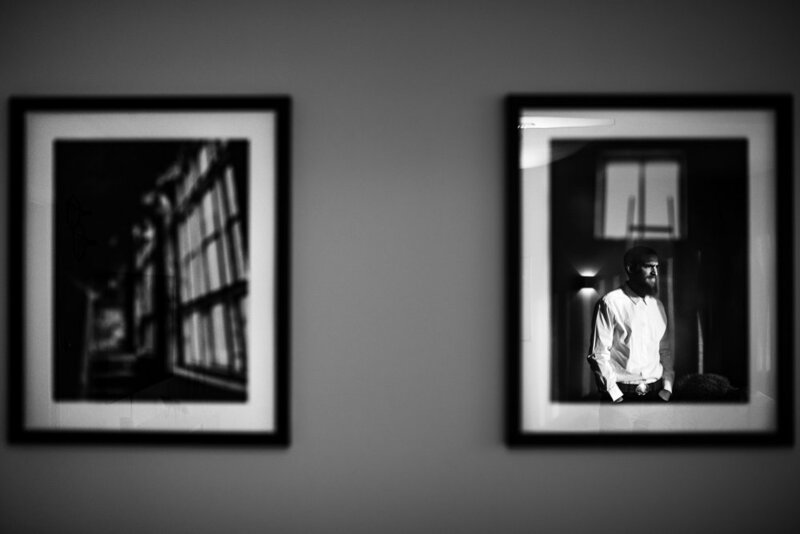 It was just the two of them and us in the whole world, it seemed. As we wrapped up and turned 180 degrees to head back to the car, our eyes widened to the sight of 4 coach sized tour busses unloading simultaneously, and their 200 passengers all stampeding slow motion in our direction. It was like waking up from the most surreal and beautiful dream to realize a zombie apocalypse had started, and the hoard had found you. 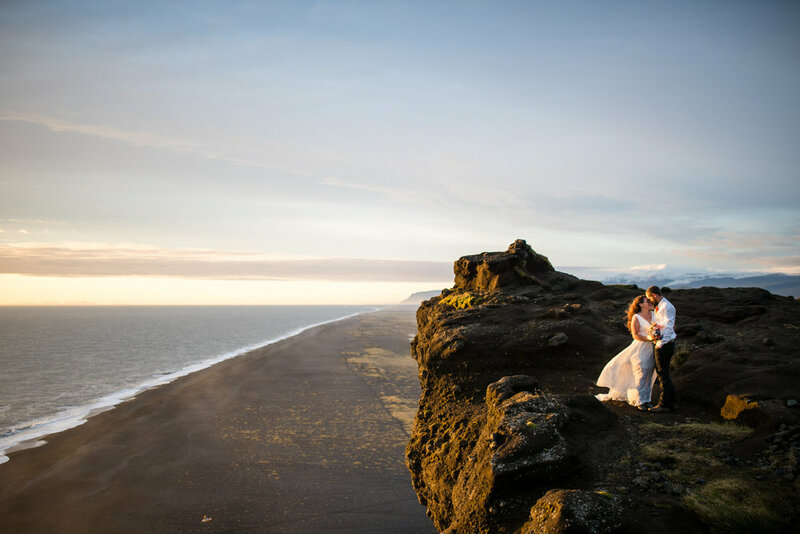 The four of us raced back to the car, dodging other bodies as we went, and breaking into fits of laughter as Jessika and Mack got tangled in a cluster of people who were desperate to take a cell phone photo of the two of them in their wedding attire. Once we were all safe in our car we all broke into a fit of laughter over what had just happened, then we travelled all the way to Vik where we wrapped up our day with Jessika and Mack's personal vows isolated amongst black sandstone formations, and watched a glorious sunset from the top of Dyrholey's jaw dropping cliffs. While we loved photographing Jessika and Mack in such a unique and interesting environment, it was even better watching their excitement, the ease of their connection together , and their sweet and personal way they interact together. 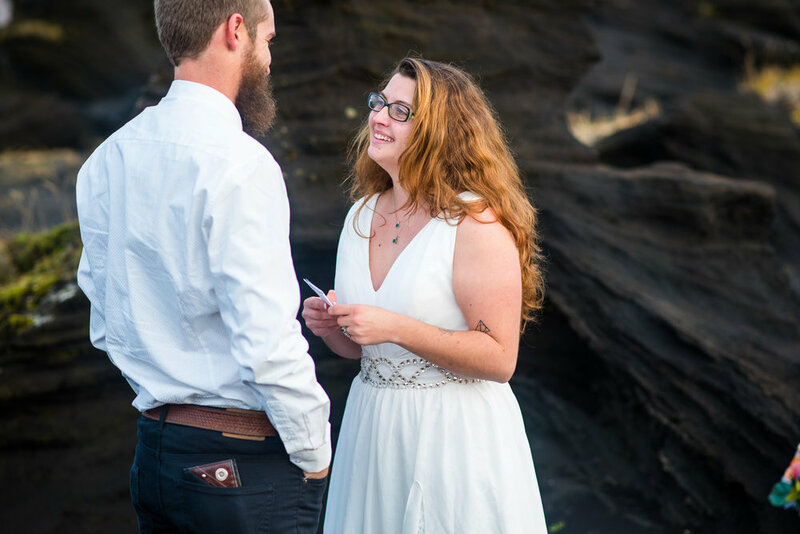 Riding around in our little hatchback all day with them was such a great way to get to know them better and really take in the magnitude of what this elopement, and their relationship together means to them. 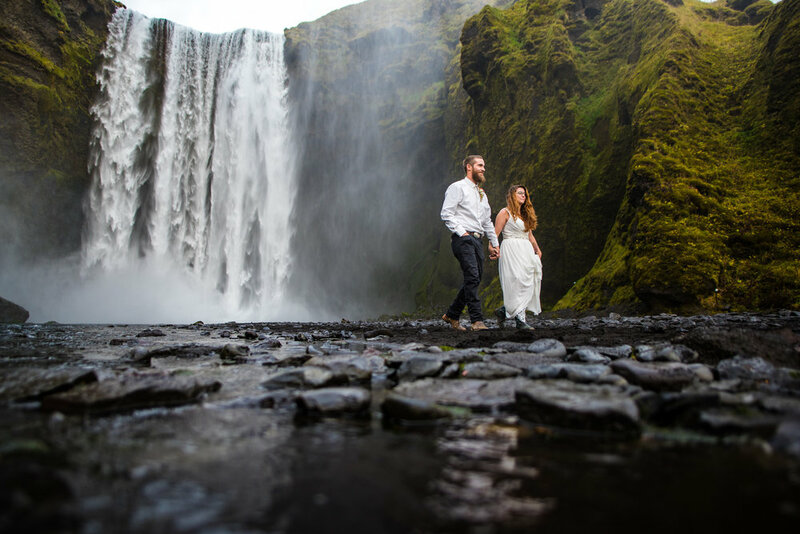 Thank you Jessika and Mack, for travelling all the way from Colorado to elope in Iceland with us! It was such an unforgettable experience!